Sunday was a special day for Indian football as the team was returning to the AFC Asian Cup after a lengthy gap of 7 years. They were up against Thailand, a team which too was returning to the continental championship after a lengthy gap, having last played in the competition in 2007. But in the end, India marked their comeback in a fairytale manner, beating Thailand by 4-1. Former captain Sunil Chhetri was the star man again, scoring a brace while Anirudh Thapa scored his first international goal before substitute Jeje Lalpekhlua put the icing on the cake with the fourth. For Thailand, veteran Teerasil Dangda briefly revived his team’s hopes by hitting the equaliser before India put the game beyond doubt. The win also ended India’s 7-match winless run in the competition. In their last seven games in the Asian Cup, India had managed to draw one and lost six. The win has also put India in a strong position in Group A.
Chhetri drew the first blood in the game after a controversial decision from the referee turned the game in India’s favour. Ashique Kuruniyan had a shot saved by Chatchai Budprom and the ball rebounded off the arm of defender Theerathon Bunmathan, who was in close proximity. That resulted in a spot-kick and Chhetri made no mistake from the spot to give his side the lead three minutes from the half-hour mark. The joy, however, was cut short as Bunmathan redeemed himself just six minutes later, firing home a header from a free-kick. 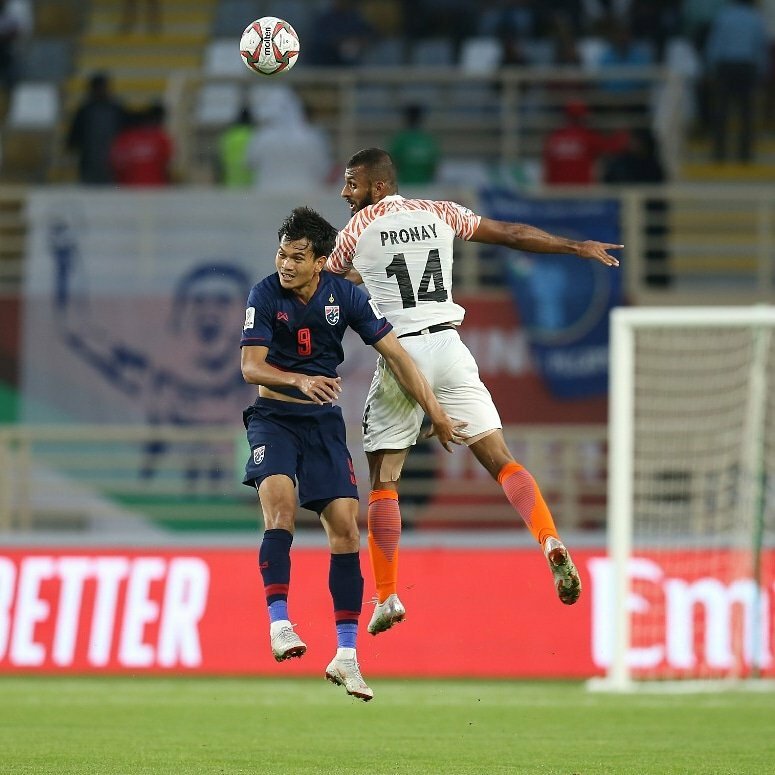 India, however, started the second half strongly with Chhetri striking again just 55 seconds into the second half, firing a fine first-time strike from 18 yards into the top-left corner. Thapa then sealed the victory after 68 minutes, scoring a superb goal from a fine assist from Singh. Lalpekhlua then put the game to the bed with 10 minutes left, converting Halicharan Narzary’s pass to put India top of the group.